Great cities worldwide have faced major urban renewal interventions on areas where industrial activities had become completely obsolete or required an optimisation or integration with other applications. Distrito Castellana Norte Madrid acquires a long-term commitment to the city of Madrid and has presented a comprehensive action which suggest regenerating the area and all its systems of equipment and services, respecting the idiosyncrasies of the shanty towns around its perimeter, and strengthening its interrelationship sustainability and creating a new district that reflects, at the same time, the values of Madrid of the 21st centruy as an open city with a high quality of life. 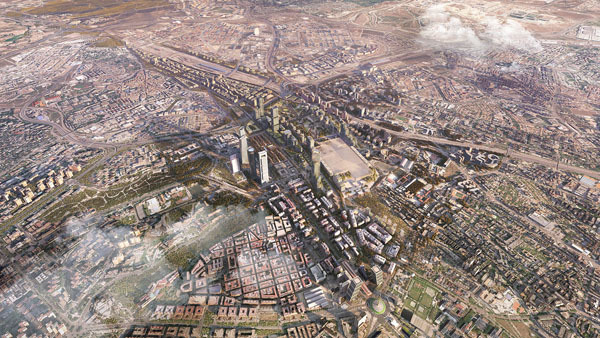 Distrito Castellana Norte Madrid is the most important renewal intervention of Madrid in the last twenty years and one of the greatest in Europe. This is an unprecedented performance in Spain that will be a driving force for change in the city and a great strategic opportunity for Madrid to make the qualitative leap within the main European capitals. 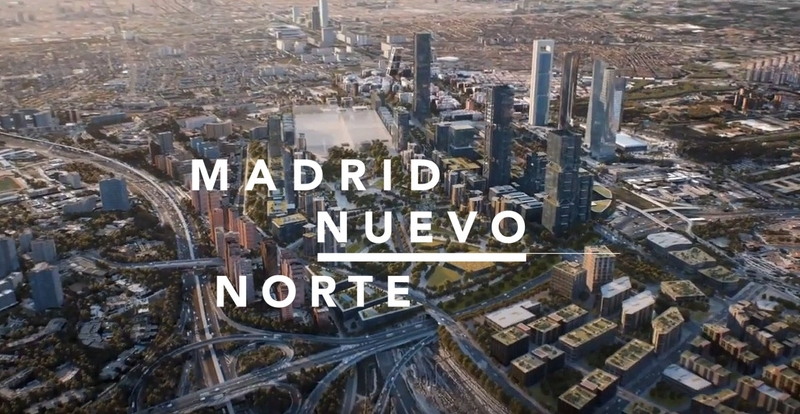 "MADRID NUEVO NORTE". The Madrid project. The project of everyone. Welcome to "Madrid Nuevo Norte" Project. Welcome to "Madrid Nuevo Norte" Project. Madrid Nuevo Norte. Experts have spoken. Madrid Nuevo Norte. Experts have spoken.